If you haven’t tried any natural health and beauty products from Neal’s Yard Remedies yet, now it’s the perfect time as they are doing some amazing offers which you should make use of. They are currently offering 30% off selected beauty products* and 3 for 2 on selected lines*. Luckily, you have quite a bit of time for your shopping as these offers end on 14th July. I am a big fan of the brand and I love what they stand for. All of their skincare is certified by Cruelty-Free International, which guarantees it has not been tested on animals. Their products are 100% vegetarian and most of them are suitable for vegans too. Neal’s Yard Remedies support organic farming, sustainable wild-harvesting and fair trade programs. They make their products with the maximum organic, natural and wild ingredients, and carefully select other functional ingredients (detergents, emulsifiers, surfactants etc) with a view to safety, efficacy and biodegradability. Their products are certified organic by Soil Association. We believe that wild is the ultimate organic – plants grown in their natural ecosystem are the healthiest and most vibrant. So far I tried many of their beauty products suitable for my combination skin and they seem to have worked really well for me. This includes the following moisturisers: Palmarosa Daily Moisture, Yarrow & Comfrey Moisturiser and Rose & Mallow moisturiser. The first moisturiser I tried was the Yarrow & Comfrey Moisturiser* which was great for balancing my combination skin and gently moisturising without feeling too heavy. I bought two pots of it (for two winters) before I decided it was time to switch to something which would be also good at preventing fine lines. Neal’s Yard’s staff recommended to me to try their Rose & Mallow moisturiser*, suitable for all skin types. I was concerned it wouldn’t be suitable for my combination skin but it was great – it made a great winter moisturiser and I would definitely buy it again. I bought their Purifying Palmarosa Daily Moisture* for summer when my skin needed less hydration. It did work by lightly moisturising my skin as needed but I found it a little bit too runny. This wasn’t a huge issue for me as I didn’t need to use that much of it for each application but some people may not like it. All their face moisturisers smell really natural and contain great quality ingredients so I do recommend them based on my experience. 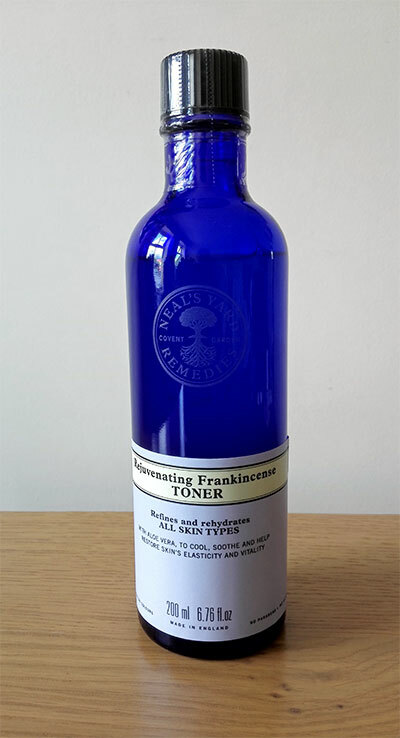 There are quite few Neal’s Yard beauty products that I bought over the last couple of years, one of them is also their Frankincense Hydrating Cream* which I bought for my sister. She has really sensitive and dry skin and was having trouble finding a suitable moisturiser for her skin in Slovenia. All the moisturisers she has tried seemed to have irritated her sensitive skin, leaving a rash behind it. I was sooo happy after she tried a sample of Frankincense Hydrating Cream and her skin didn’t have a reaction to it. Amazing! As she was getting on with this one I bought her a full size version and so far she has used 2 or 3 pots of this cream and she just asked me to buy her another one. I am really pleased it works for her. These are just some of the products I tried and experienced. 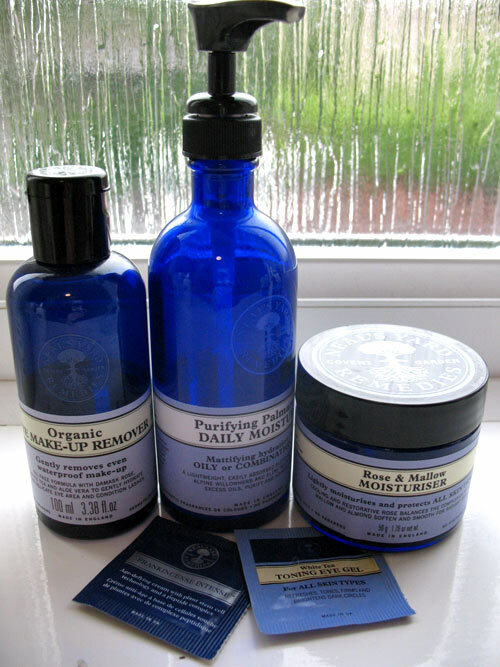 Overall, Neal’s Yard beauty products are of amazing quality and effective and I really recommend them. I am really happy to promote them as a company and I hope that other people like their products too. 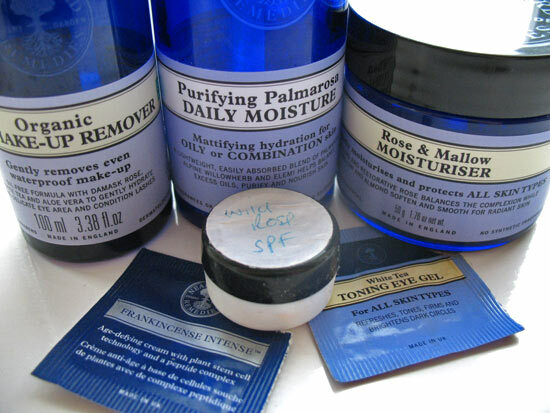 Have you tried any of Neal’s Yard beauty products yet and what did you think of them?